SAN FRANCISCO (KGO) -- The Golden State Warriors have formally purchased the San Francisco site that's planned to be the team's future home. The 12-acre site is at Mission Bay, just down the street from AT&T Park. The Warriors had purchased an option on the property last year but this makes it official for them to move forward with the building process. Development plans are still going through environmental review. 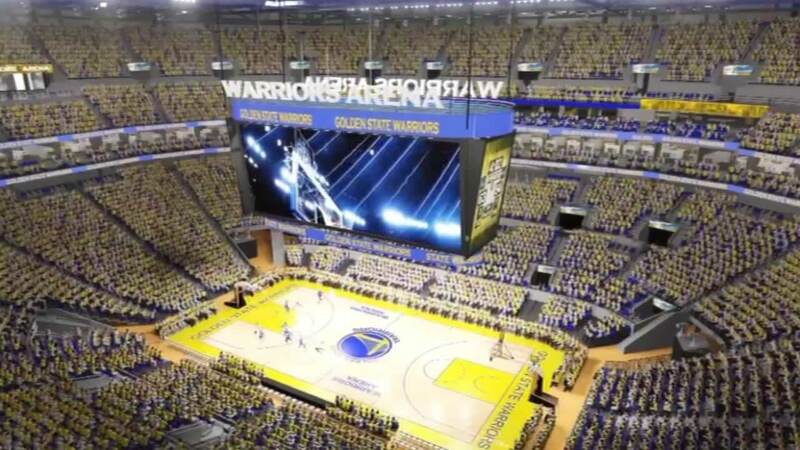 Golden State Warriors president Rick Welts unveiled the team's "dream arena" on Tuesday at the Dreamforce Conference. The Warriors hope to open the new arena in time for the 2018-2019 NBA season.
. @RickWelts on GSW purchase of Mission Bay site: “The #Warriors are making an unprecedented, $1 billion-plus investment in San Francisco."